Addressing a rally in Kharsia Assembly constituency in Raigarh district in the poll-bound state, Mr Gandhi claimed the prime minister doesnot speak about corruption anymore. 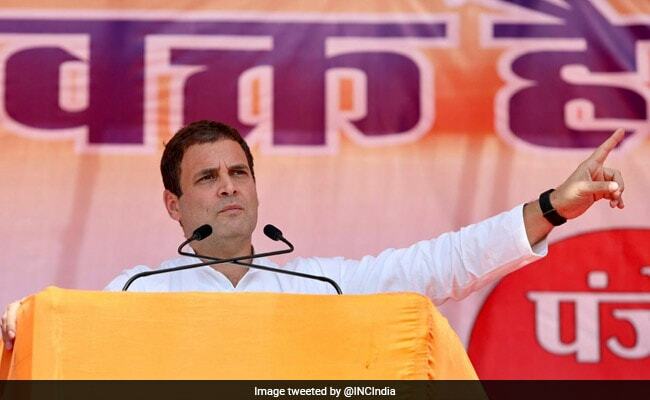 Congress chief Rahul Gandhi today questioned why Prime Minister Narendra Modi is silent on charges of corruption against Chhattisgarh Chief Minister Raman Singh and his family. Addressing a rally in Kharsia Assembly constituency in Raigarh district in the poll-bound state, Mr Gandhi claimed the prime minister does not speak about corruption anymore. "In civil supply scam of Rs 36,000 crore, names of Raman Singh and his wife surfaced. Rs 5,000 chit fund scam took place under the protection of the Raman Singh government," he alleged. "His (Singh's) son Abhishek Singh was named in Panama papers scandal, but no action was taken in any of these cases," the Congress chief alleged. "Prime minister Modi used to speak about corruption in his speeches earlier, but why does he not speak about the corruption of Raman Singh and his family? Why Raman Singh too is silent over corruption," he asked. The ruling BJP has denied the allegations of corruption against the chief minister and his family. Mr Gandhi campaigned for Congress candidate and incumbent MLA from Kharsia, Umesh Patel, today.